Yesterday was the 100th anniversary of the Acambay Earthquake and we went to Acambay near Mexico city to participate in the celebrations. 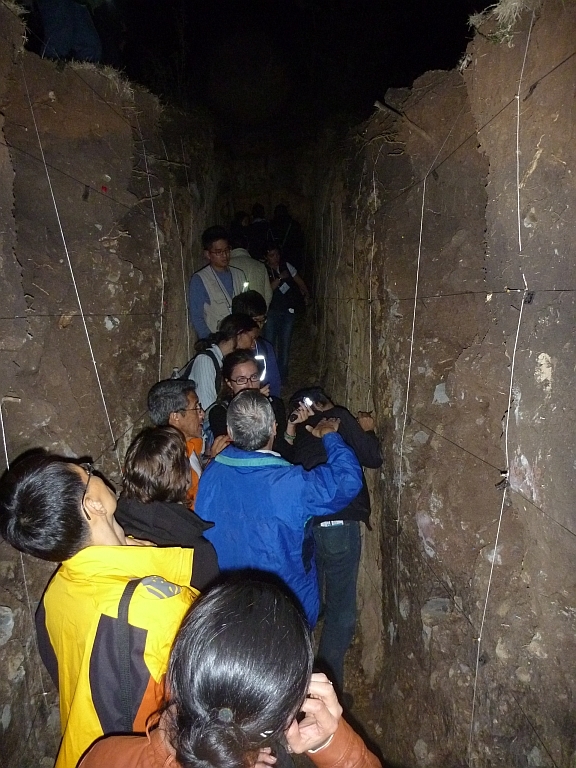 Late night paleoseismology – visiting Pierre Lacan and Maria Ortuño’s trenches in Central Mexico. Today (Tuesday), the scientific sessions started. The first key note lecture is by Franck Audemard about the history of paleoseismological research in Venezuela. Angela Landgraf then spoke about her paleoseismological research in Kyrgyzstan, including trenching results. 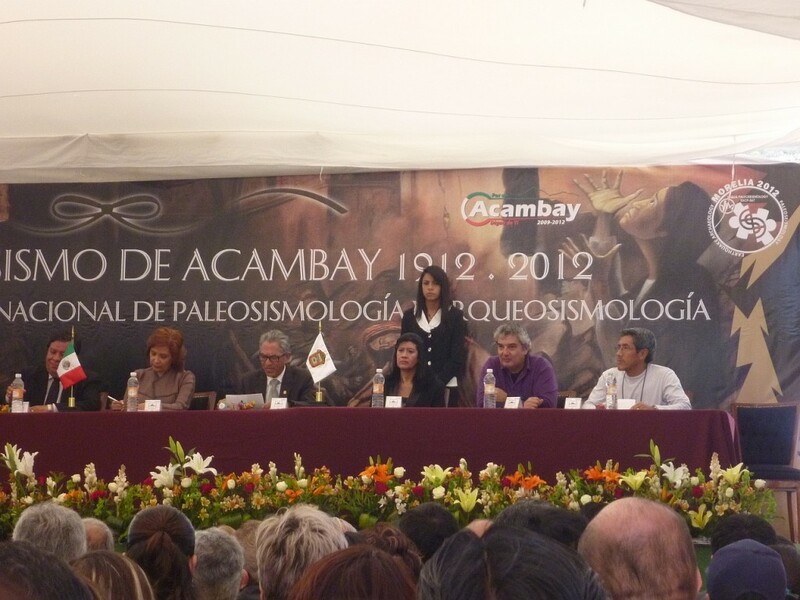 Maria Ortuño presented more details on her and Pierre Lacan’s trenches in the Acambay graben system. Pedro Huerta not only showed data from his study in Venezuela, but also had impressive pictures of himself swimming and coring in a lake, trying to drill seismites. A lively discussion evolved on sedimentation rates and dating errors in lake sediments. (Klaus.) Just a note from the back: our live reporter Christoph Grützner is celebrating today his 32nd birthday, CONGRATULATIONS from the entire paleoseismicity.org team and all participants of the meeting in Morelia, especially from the president-in-chief Don Pablo Silva, and the past president Alessandro Michetti. The afternoon was dedicated to Earthquake Environmental Effects (EEEs). 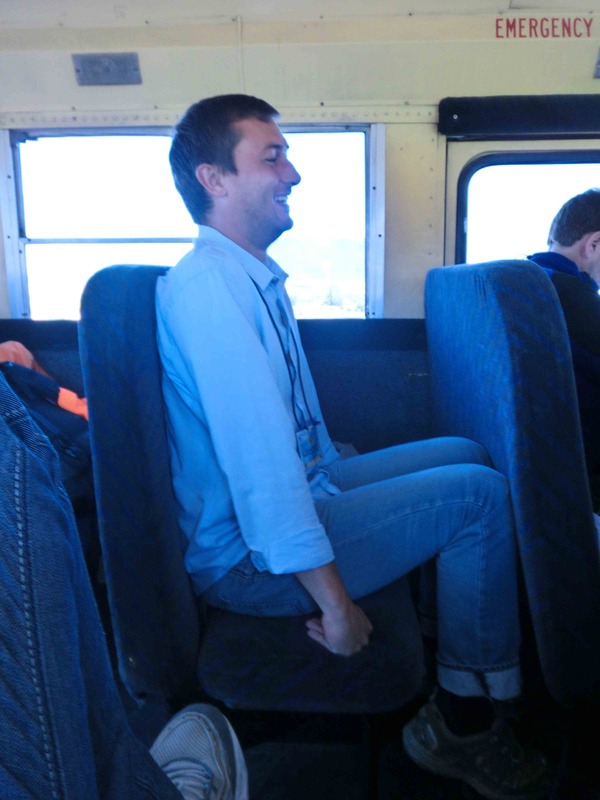 First, Alessandro Michetti reported on the Tec Paper to be written for the Int’l Atomic Energy Agency (IAEA), then Francesca Cinti presented the geological survey of EEEs that followed the Emilia Romana EQ (Northern Italy). Takashi Azuma (whom you might know from the geo-eq-net mailing list) gave a very interesting talk on recent faulting triggered by the Tohoko M9.0 Japan EQ. Miguel Rodrigúez-Pascua’s talk was about the Acambay 1912 EQ EEEs, and finally Luca Guerrieri switched to Italy again and presented more data on the Emilia Romana event. The session ended with a guided poster session, which was followed by a Mexican traditional food tasting. To conclude: The first scientific sessions were pretty interesting, I expect some interesting Archaeoseismology tomorrow.